"Qualitative Data Analysis in Practice: Experiences, Challenges and Possibilities" was a one day interdisciplinary workshop on the topic of qualitative data analysis. We hosted postgraduate research students and early career researchers from different universities, faculties and departments, who use(d) qualitative data analysis as part of their research project, to present how they approached their qualitative data analysis and to discuss the experiences, the challenges, and the possibilities of various ways of qualitative data analysis. We hope to extend this workshop into an opportunity for publishing an edited book on qualitative data analysis. For this purpose, we will encourage all the workshop presenters to write an extended version of their presentation as to become a book chapter. 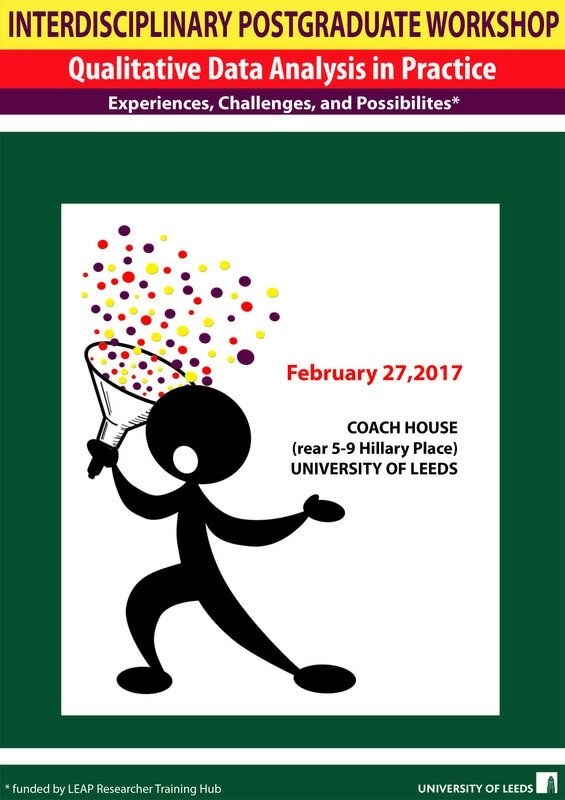 This event was generously funded by a grant by University of Leeds LEAP Researcher Training Hub.